The show will run from April 12 through July 31st. Don’t forget the panel discussion on the 24th. As I posted here, I have a large-format installation in the Johnson Lobby. Lots of of information about the artists and the work will be here shortly. There will be an opening the evening of April 11th, but I’m not supposed to invite more than 5 people. So, none of you are invited. However, feel free to browse the stacks at the Library that evening if you wish. Maybe from around 5:30 to 8:00? 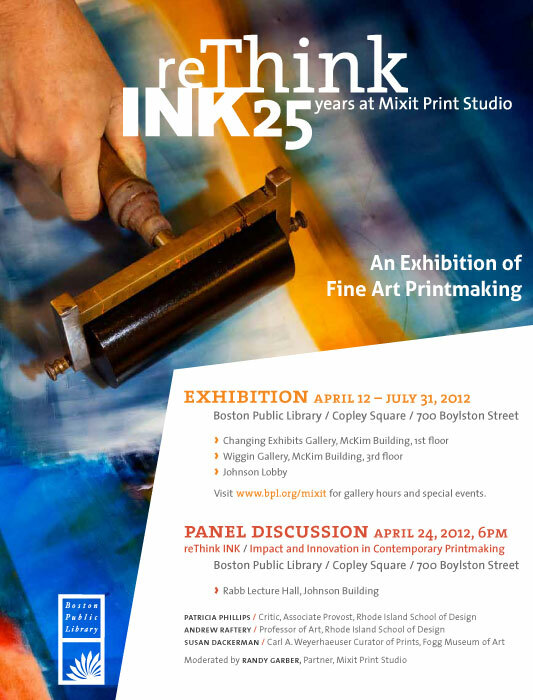 There might be some printmakers hanging around willing to discuss their work. You never know!